Compleat Angler | Kmotion Design Inc.
Compleat Angler is an online fishing community. It's a one stop ecommerce shop for angling gear, guides, adventures and chatter. We designed the site in such a way that users can explore different avenues of the site that interest them. In return this increased the users interaction and visiting time on the site. 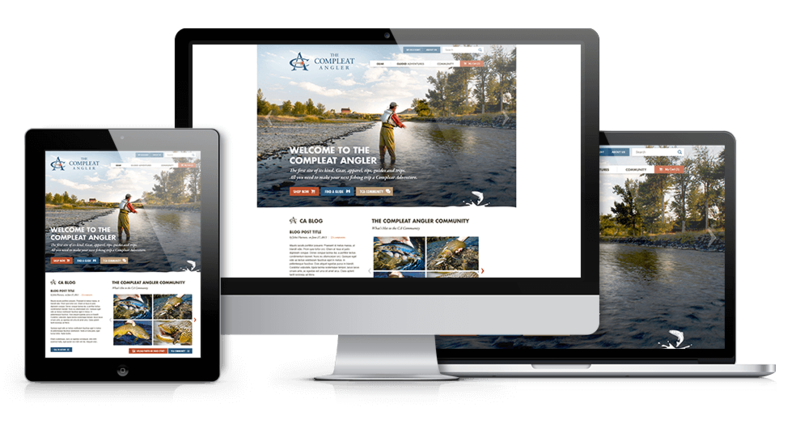 "The process of designing this site was very collaborative, and we learned a lot about fishing along the way! "